Baxter Meadows and Baxter Meadows West are two of Bozeman’s newer communities with panoramic views, generous lot sizes, and a variety of home types to choose from - condominiums, townhomes, and gorgeous single family residences. Located on the newly developing west side of Bozeman with several parks and paths weaving around the area! Read more about Baxter Meadows and Baxter Meadows West homes below the listings. Baxter Meadows real estate is in a great location, set adjacent to a 100-acre park including a dinosaur playground, miles of trails, fish ponds, sledding hill, picnic areas and more. Residents enjoy the 10-acre community park, which has trails connecting to the larger regional park. Enjoy baseball, soccer and fishing North and Kendeda Lake, both of which are stocked with fish and boast nice, sandy beaches - perfect for spending a nice summer day. 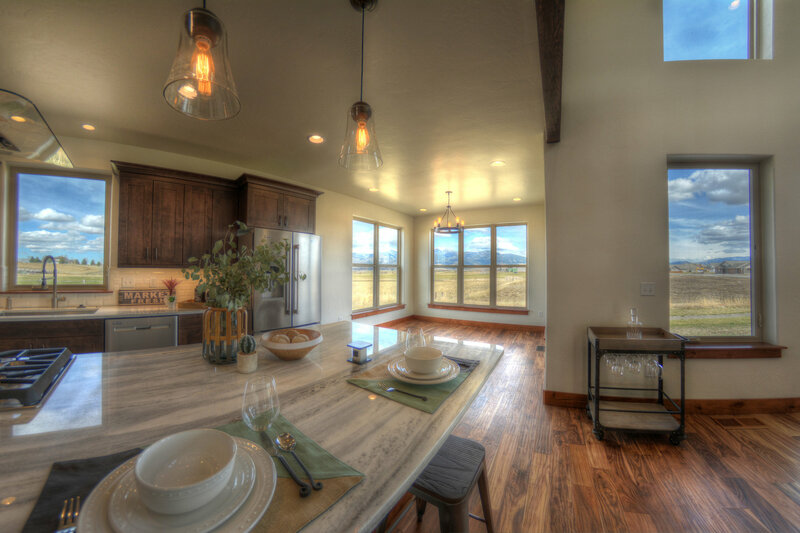 Check out Baxter Meadows new homes and note all the upgrades you would expect in newer homes for sale in Bozeman are here at Baxter Meadows and Baxter Meadows West. If you're looking for a newer area with gorgeous homes, consider Baxter Meadow, which features a superb way of life in a quiet area with great neighbors. If you'd like to view any Baxter Meadows homes for sale, contact the Engel & Völkers team today. We are experts when it comes to real estate in Bozeman. Get regular updates on new Southwest Bozeman homes and investment opportunities when you sign up for a free account. You'll also be able to save searches and bookmark your top homes.